I do a lot of baking. I'll probably do even more now that the weather is starting to cool down. I've told you my favorite ways to warm up on a cool day haven't I? Bake something! Or wash dishes. They both work really well. Of course, baking is more fun, but it does usually mean there are dishes to be washed. Anyway, I was planning to bake bread this week. I had my sourdough starter pulled out of the fridge to warm up. And that's as far as I got. I was planning chicken wraps for dinner Monday night, and I turned the oven on to heat. Then I got busy taking care of other things while I waited. And waited. And waited. Now, this new oven has always taken longer to preheat than my old oven, but I eventually realized that it was taking way too long. So I checked, and the oven, which was supposed to be heating up to 400° was barely even warm. Yep, something was definitely wrong. I had to bake the chicken in the toaster oven, which worked fine, but dinner was really late. 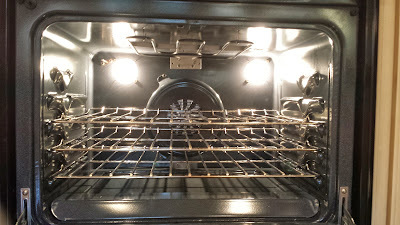 We tried turning the oven off and back on, resetting the breaker just in case something hadn't been done right after our power outage on Friday, though everything else seemed to be working fine. Nothing changed. No heat. Thankfully, when we bought the house, we asked for a Home Warranty, so the next day I called to have somebody come and fix my oven. First they said it would be next Wednesday before someone could come look at it - more than a week - but then they found someone who can come sooner. Hopefully it will be tomorrow. They needed my oven's model number and serial number so they could be sure to have the right part - hopefully it's just the bake element - and be able to get it fixed the first time. However, finding those numbers proved to be a challenge, since there was nothing in the oven where it was supposed to be. She thinks she figured it out anyway, so here's hoping they got the part in and will be calling me in the morning to come and fix my oven. 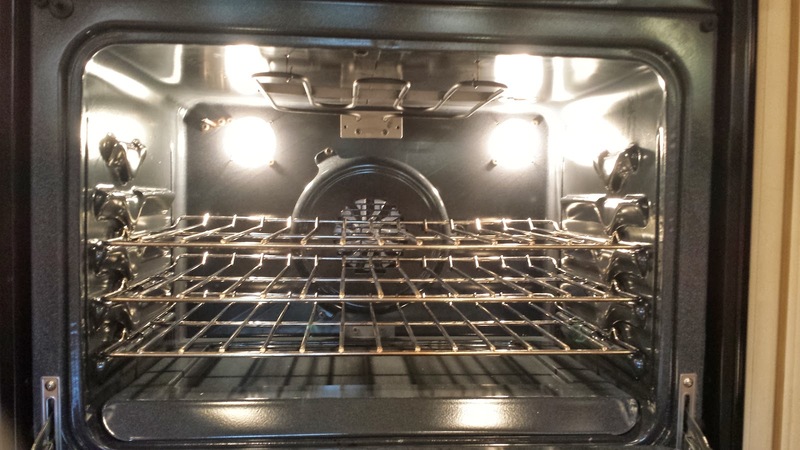 If it's something more serious than the bake element, at least it can't cost us more than $100 because of the Home Warranty. However, it might be a while longer before I can use my oven again. It's been hard enough living just this week without an oven. At least it's not Thanksgiving.